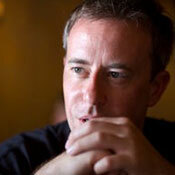 Brad Willis is a former television news reporter who left the TV business after ten years to start the PokerStars Blog. Willis serves as the PokerStars Head of Blogging and is a frequent face at many PokerStars live events. Willis spends his free time writing, blogging, travelling and exploring the outdoors with his wife, sons, and dog. Weekend Review: Champions in Prague, TalonChick...everywhere! PlayaPlz: Quarter million? Please & thank you! Bankroll Challenge alert! $1,000. 10 days. 24/7 stream.